Here’s this month’s video: ﻿How to train Joint Locks and Limb Destructions on the Heavy Bag. I made this video a few weeks ago but only now got to finish the editing part. Anyway, take a look first and then I’ll give you some more details. Like I said, they’re just examples. The same goes for the applications I show with my student: the entries, the angles, the specific joint lock versus the specific attack, etc. are nothing but possible examples. 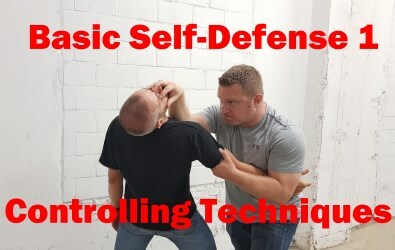 They’re not the best, nor the only way to get to these locks in a self-defense situation. 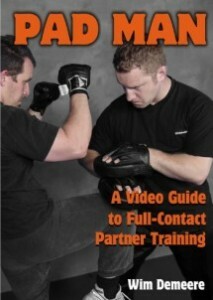 But they are easy to capture on film and you can clearly see how they relate to the heavy bag training scenes. Which is the reason why I showed these specific applications and not other ones I prefer. Training vs. application. You’ll notice the techniques I show with my student aren’t always the same ones I then show on the heavy bag. Sometimes the differences are small (the finger jab in the first scene), other times they are pretty big. That’s just me having fun training; don’t look for another explanation. Sometimes when I train, I play around with a technique a bit by adding, deleting or changing parts. I start with a standard technique and then try to find different variations to become more versatile with the standard version. I usually don’t show this in my videos because it is confusing when you’re trying to learn a technique from a video. But that’s not what I’m doing here. Here, I try to show you a way of training them. So the different variations are more relevant to this video than making an identical copy of the technique from the partner to the heavy bag. Old Judo belts rock. I like to use an old judo belt to practice these joint locks and limb destructions. Judo belts are cheap and extremely strong. You can put them through all sorts of abuse and, except for discoloring and fraying a bit, they just keep on taking it. I’ve also never managed to snap a judo belt, not even after hours of training full-power joint locks like I show here on the video. Judo belts also won’t cause friction burns as much as other material. So I recommend you get one of them instead of a rope or any other material. Break or squeeze. 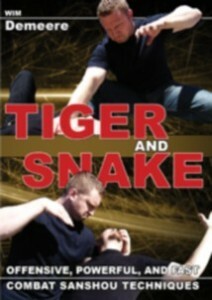 In the video, you’ll mostly see me go for arm breaks and limb destructions. 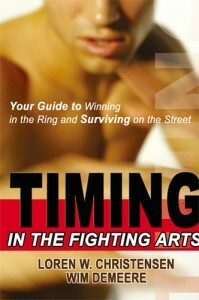 I’m not as much practicing controlling an opponent as I am training to snap or break a joint as fast as possible. But that doesn’t mean you can’t practice the controlling aspect too. To do that, go fast with the entry and the set-up of the technique but stop short of snapping the lock down completly. Instead, squeeze the lock increasingly tighter over a period of 5-10 seconds. 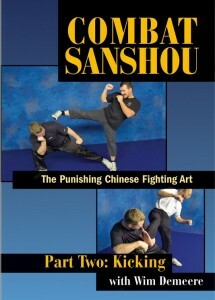 This gives you the full range of working from light control to squeezing hard enough to control a resisting opponent and eventually putting in as much power as possible to simulate actually breaking the joint. Don’t go nuts with your training partner. There is one huge drawback to training like this on the heavy bag: you risk getting used to working your joint locks and limb destructions full power. 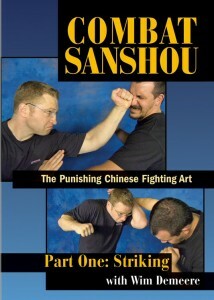 That’s great for applying them in real life in a self-defense situation but not when you’re training at the dojo or gym. Always remember that the heavy bag work is mostly for speed and power whereas training with a partner is all about technical skill and refinement. Mixing up these two will give you a very angry training partner and and even angrier teacher. 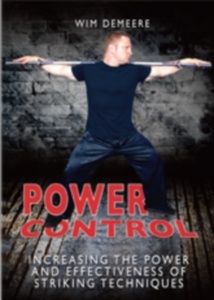 So keep your power levels under control when you work with a partner. That’s it for another How-to guide. I hope you enjoyed it and feel free to leave some feedback here in the comments section. 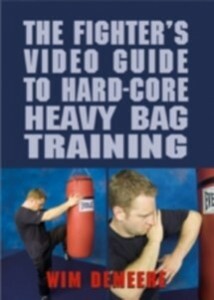 If you’re interested in even more training ideas with the heavy bag, you might like this video of mine here. Really enjoy the video . I am just wondering if you could put the judo belt through a swim noodle to add thickness . Swim noodles are arm thick foam tubes that act as a floatation device or a wet sword to slap each other with in the pool. I will have to experiment and get back to you . Really like your vids and work them into training. Thanks Clint, glad you enjoyed the video. And I just happen to have two or three old TKD white belts stuffed in a drawer. Count that DVD added to my growing wish list. Excellent stuff! I like seeing low tech applied cleverly and effectively. That’s a nice video there Wim. I was shown to use belts tied onto a heavy bag in a similar fashion but with the emphasis on controlling the limb and striking from that position. 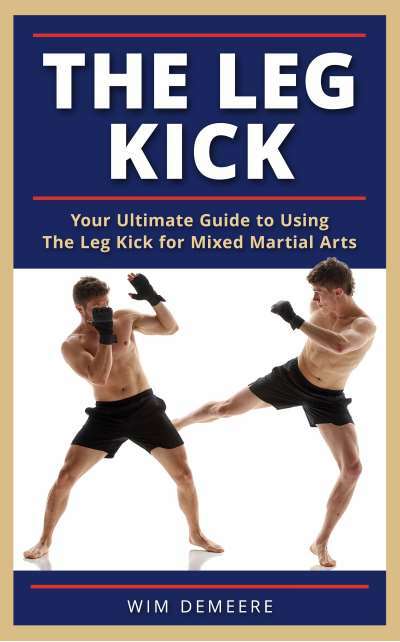 It works quite well like that and better than practising with a partner holding one thai pad, for example, as it’s difficult to set up the pad in the correct striking position. 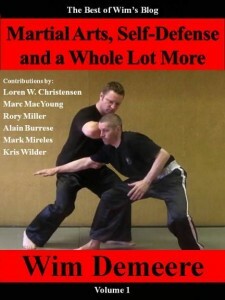 A bit of both and you get to factor in your partner moving and resisting while holding the pad and you striking from a less than perfect position. Sometimes when I train, I play around with a technique a bit by adding, deleting or changing parts. I start with a standard technique and then try to find different variations to become more versatile with the standard version. 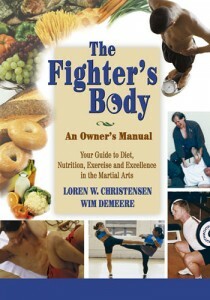 I love to include this stuff in training and often lessons are more of a workshop than a set rigidly structured class. Thanks John. The idea of the belts isn’t new, I only thought it was when I “discovered” it many years ago. Turns out with some research that it’s old as dirt. So there are many, many different ways of using them. As for the pad work, I disagree. Oen of my upcoming videos will feature just how you can work like this. Great idea. I had never thought of using a heavy bag and old belts in this way. Thanks for sharing! Since I only train on my own, I use an old winter jacket with a swimming noodle holding up the arms. I place the jacket over a standing heavy bag that has some flex near the base and use it for working strikes, traps, takedowns, etc. I like that I can go full force and not have to worry about injuring someone. Also by using the old coat I have better visuals on what targets I’m striking. If you’re curious to see it in use lookup my profile on youtube – Shotokangerry. The downside (aside from not being a live person!) is that I can’t pre-position the arms so I need to do similar to what you’re doing using a belt. I’ve considered buying a human-formed grappling dummy, but their expensive and aren’t free standing. I like you’re idea of using pvc pipe & rope – I’ve considered the same but haven’t gotten around to it yet. 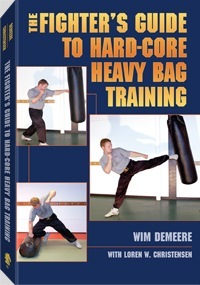 In my Heavy Bag book, I wrote about how I use clothes on a hanging heavy bag. Works well for targeting and focus. Pipe and ropes works well too but it takes some tinkering to find the best way to rig it up. Then again, once you do, it’s a lot of fun.